A great solution for a high washing-intensity place. Just outside Waterford city centre, the Viking Hotel is the perfect location for business users with its choice of meeting and conference rooms and also due to its proximity to the city’s main industrial park. And being close to the fantastic Waterford Greenway it is also a very popular staying point for cyclists and walkers. The pressure on the wash up is very demanding and our distributor was contacted to replace a small washing system that did not have the capacity to facilitate the large volumes coming into the kitchen. 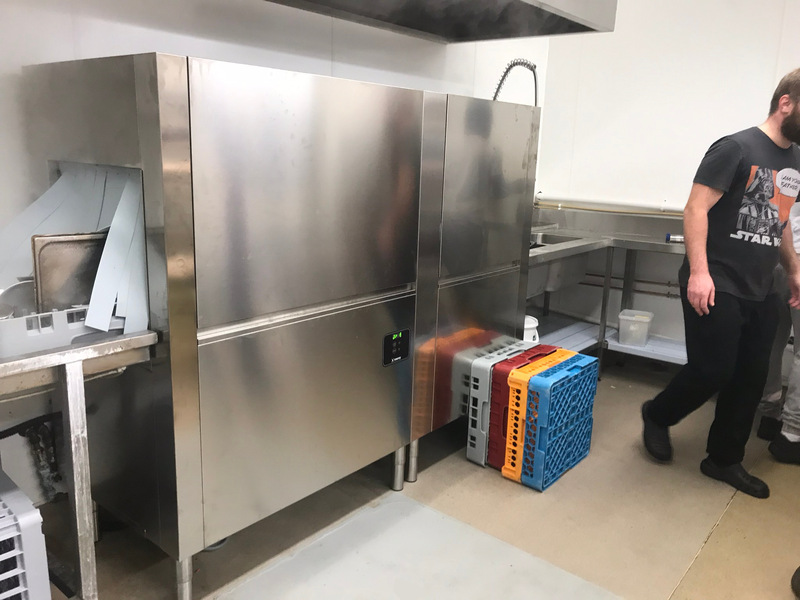 Alan Murphy from Murco Catering Equipment with Dermot Bolger – Facilities and Maintenance Manager at the Viking Hotel – came up with a dishwashing solution that would be able to handle the capacity being thrown at it. Upon sizing what were the requirements, an EVO301 dishwasher was installed. But not only just to install this, after consulting with the customerthe entire space was mirrored so new machine could slot in perfectly under existing condense canopy. The system is now working as it should have been from day one.